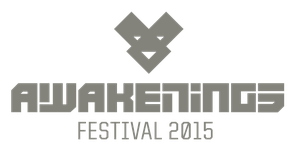 On Saturday, 27 and Sunday 28 June 2015, the 15th edition of Awakenings festival will take place on Spaarnwoude Houtrak, near Amsterdam. The festival site, open from noon till 11 on both days, will see more than 100 artists performing in eight areas. 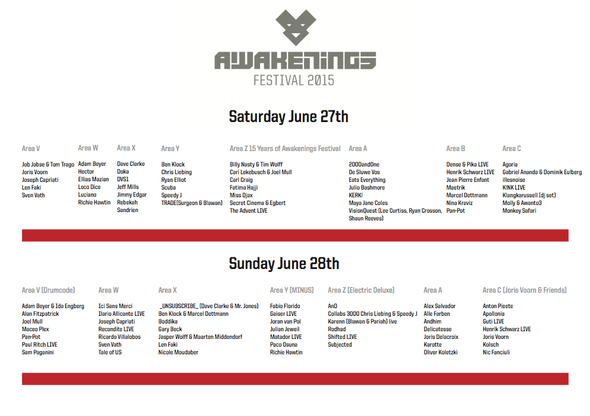 Last year the Awakenings organization finally got a chance to extend the festival from one day to a whole weekend and this year it returns as a Weekender, with a big line up and lights and affects show. This year sees an extra stage added on Sunday and a special 15Y Anniversary area on Saturday, where acts already closely involved with Awakenings from the very beginning – Joey Mull, Billy Nasty, The Advent and Cari Lekebusch to name just a few – will celebrate this special edition in style. Longtime friends and collaborators MINUS (Richie Hawtin), ElectricDeluxe (Speedy J), Joris Voorn (& Friends) and Drumcode will all host their own area on the second day of the Weekender. Check the full line up below. I like the helpful info you provide in your articles. I will bookmark your weblog and check again here frequently. I'm quite sure I will learn plenty of new stuff right here! Good luck for the next!